Our purpose is to engage with the local community in ways that are positive and sustainable. A logo that comes to mind is: “Global is local,” so global health is local health. Johnson County has a lot of hidden (or purposefully unseen) disparity that we try to address as students through our community events at the Johnson County Poor Farm and our Winter Pop-Up Shop. The Winter Pop-Up shop is a clothing drive that feels like a normal shopping experience to protect the dignity of patrons. What days/times does your organization typically meet? Do you have any upcoming/recurring events you would like to be made known? We meet every other week for general meetings, so the next time we will meet is November 28th after Thanksgiving break. We have our Winter Pop-up shop on December 1st. Specific times are to be announced. Adriana: I joined the Global Health Club shortly after I switched my major from Microbiology to Global Health Studies. I realized that I could make a greater impact working with systems that influence health rather than effecting change on an individual level. I joined the club to gain experience in this endeavor. I am passionate about global health club because it encapsulates so many different disciplines to make the most out of their ideas for public good. Brad: I got involved with this organization because of its strong ties to the community and the dedication its members put into their work each semester. I believe that the work we do is important to our community members and that is really special to me. Maiti: I became actively involved in the global health club at the University of Iowa due to my interest in identifying ways to impact the overall health and well-being of members of the Iowa City community. 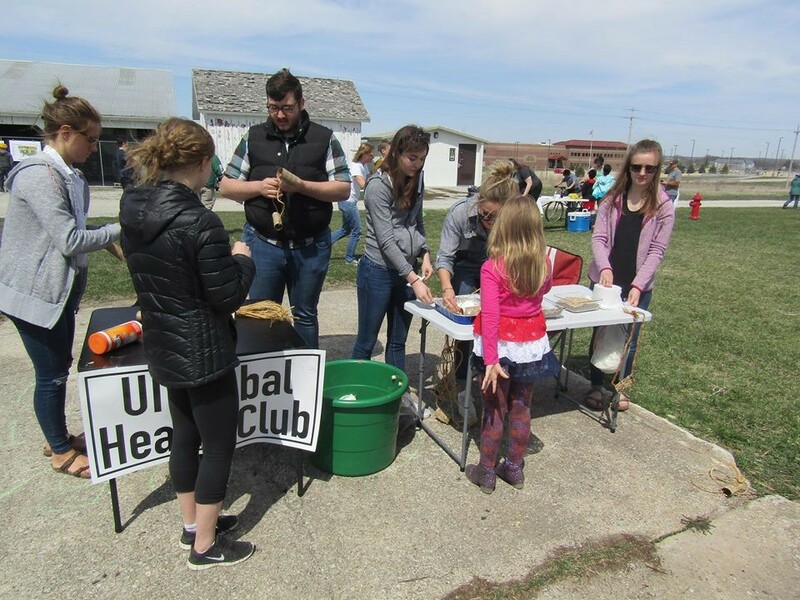 The Global Health Club works to identify local community needs and determine how our group can make a meaningful impact through our volunteer efforts and partnering with other community groups to assist with their initiatives. Additionally, being an active member of this group has helped me develop a network of like-minded students who share the same passion for making a difference in our community. Being a part of this group has also helped me continue to grow academically as a student majoring in Global Health Studies. Each member of the Global Health Club brings a different perspective and we are all passionate about different aspects of global health initiatives and priorities. One of our club initiatives that I have found personally rewarding is our annual clothing drive; it is through this annual effort that we have been able to successfully provide warm clothing for many community members who do not have adequate resources for staying safe and warm throughout the winter. Being a part of this community effort aimed at keeping our community safe throughout the winter has been personally rewarding and allows me to give back to my local community. Do you have any pictures you would like to share?